The Sherman DD (Duplex Drive) tank was designed to preserve the element of surprise during an amphibious assault. This book explores the development and modifications of the Sherman DD by the Allied forces, focusing on their deployment during the D-Day landings. It also discusses the many variations of the Sherman DD, including the Valentine DD tank and its role as a training tank in Britain and limited operational use in Italy. 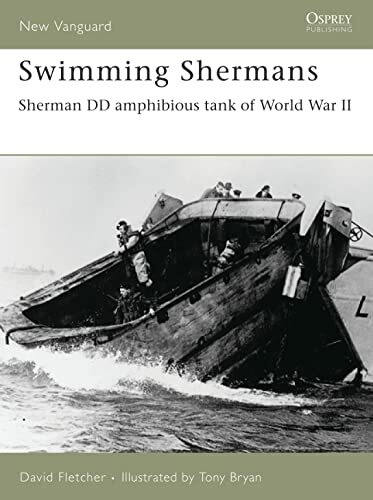 David Fletcher describes the rigorous training programme that the American, British and Canadian troops must endure to use the swimming Shermans, and he examines their successes and tragic failures on the beaches of Normandy.